A while back, I drove through Tooborac on my way to visit Pink Cliffs in Heathcote. While I was on the side of the road throwing up thanks to car sickness and a possible bad decision to combine coffee and salami for breakfast, I noticed the giant rocks amongst the green paddocks and immediately wanted to do a wedding in this area. ASAP or before, thank you and good day. 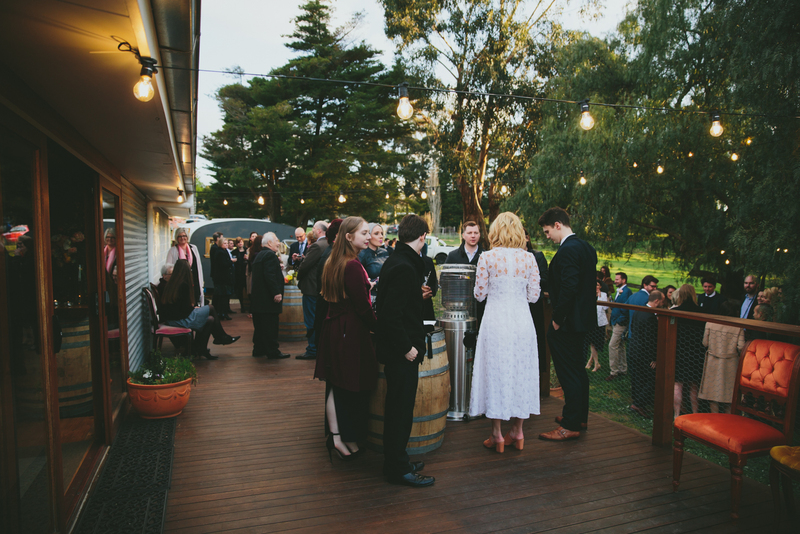 So when lovely Leigh got in touch to furnish her wedding to Daniel at Mimosa Glen in Tooborac, I was like YES BLOODY WELL YES! Leigh was lucky that I did not recount the salami / coffee story #ProfessionalismAlways. Leigh and Daniel wanted to create a fresh spring garden party for their wedding and they had a keen eye for exactly what they wanted. 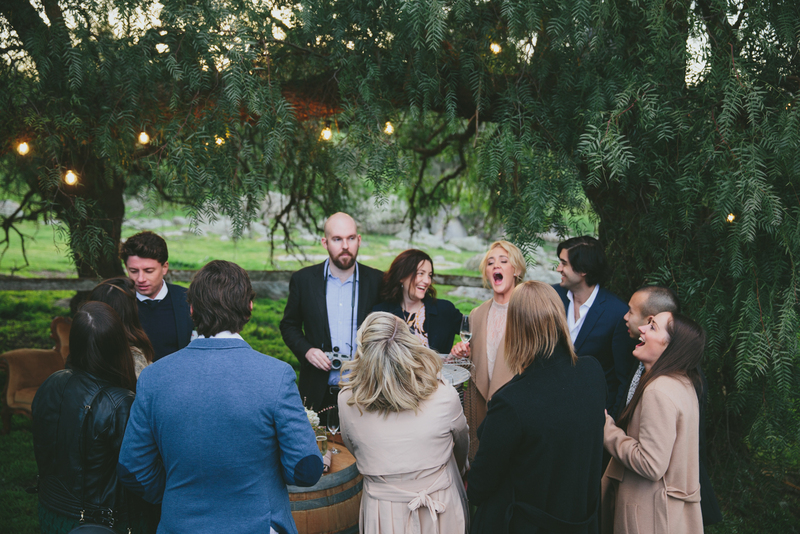 Leigh wanted to have the ceremony facing the imposing, super cool rock formation behind the homestead, and happily for us – because we love this – she wanted to combine our vintage lounges, love seats, arm chairs and dining chairs for their ceremony, instead of just using dining chairs, BOOM! Look how beautifully it came together! Those warm tones + super lush textures popped so hard against the country greens and the rock formation. This is one of my favourite wedding ceremonies ever. Daniel and Leigh first bonded over their love of dogs and so it was a no brainer that their doggo – a terrifically cute Pomerain wearing a flower necklace – would be part of the celebrations. Leight did an amazing job of bringing all the details together – they were just perfect and set the scene for an amazing celebration of their love. As always, we were honoured to play a part in this special time in their lives and we wish them the greatest life ever, full of love, hugs, jelly beans, Potato Gems, phone batteries that never run out, and beautiful doggos that bring them breakfast in bed on the first Sunday of every month. Rings Juliet and Oliver and Tiffany & Co.